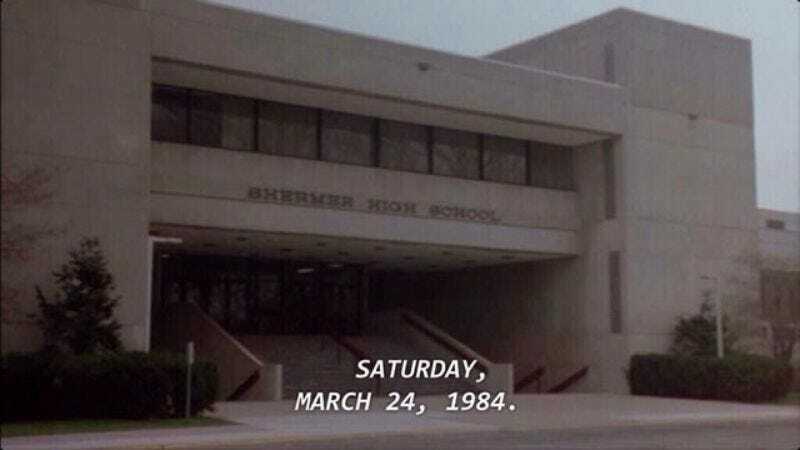 This isn’t exactly news, but it’s kind of neat: Today marks the 30th anniversary of The Breakfast Club’s day-long detention. While the Internet’s been fooled by this kind of film trivia before, this date appears to be legit, as its been fact-checked by various movie enthusiasts and bloggers. Long story short, eat a Pixy Stix sandwich, then go dance on a railing. Today’s a special day.